Please note that not all of these are available right away, most get made to order. Please contact us to find which ranges are standard. Warehouse racking systems; if not correctly used or maintained, can end up being dangerous, costly and a huge inconvenience for any business. Overloaded or damaged storage racking systems can collapse and cause sever injuries to employees; which is a common workplace safety issue. 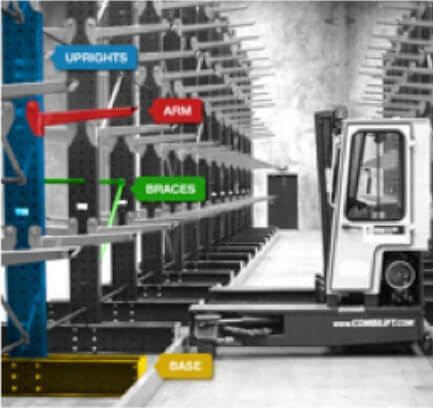 What is Cantilever racking? Definitions and Equipment guidelines. 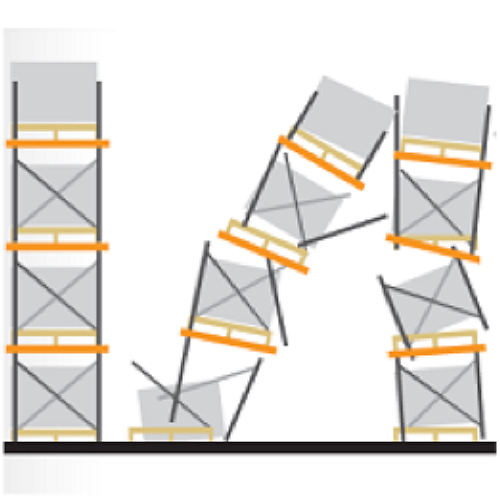 Cantilever is defined as “a beam anchored at one end only”. 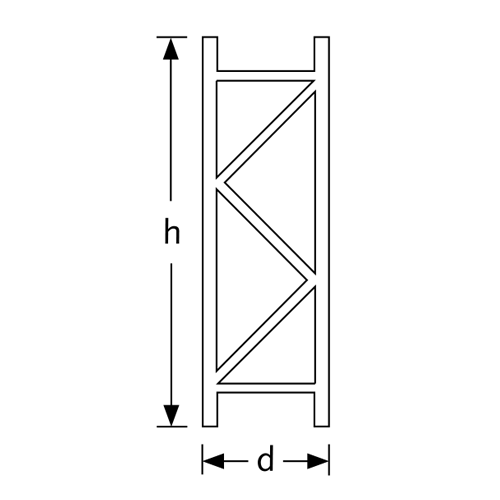 The load is held by the arm which transfers the load to the supporting upright beam/base. Cantilever racking is primarily used for storage of bulky, oversized, long loads such as timber, plasterboard, steel trusses & piping, PVC carpet. Measure from the top of one slot to the top of the next slot down. Whatever that measurement is, that is the pitch e.g. 75mm pitch etc. Click here to go to the Do It Yourself website.